But that doesn't mean you'll be seeing it anytime soon. 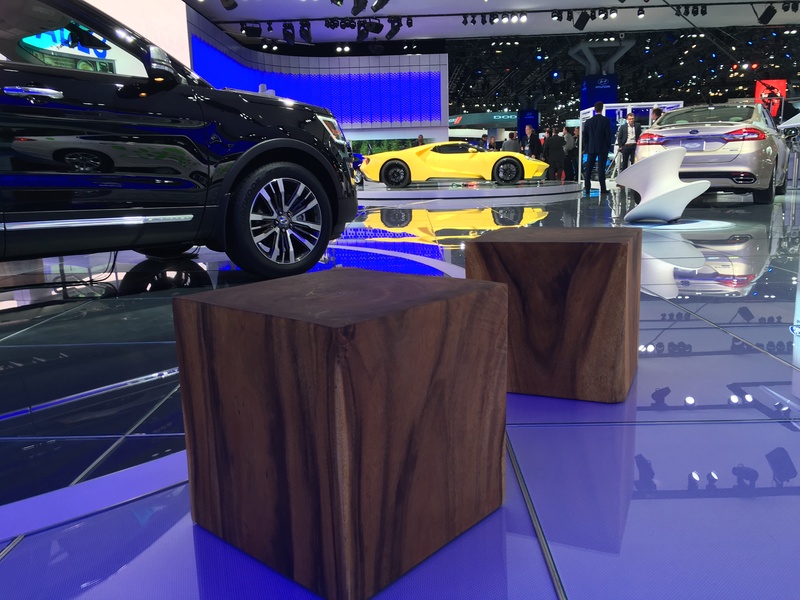 The New York International Auto Show is a bastion of automobile innovation. New models are revealed, concept cars debuted, and theories of how people will travel by car in the future (read: autonomous vehicles) are put forth. Enter Ford executive Ken Washington, who says his company will have the technology to put autonomous vehicles on the road within the next four years, but as you’d expect, its a little more complicated than that. “We believe the tech will be ready within the next four years, but to put the vehicles on the road that are fully autonomous, you need more than just the tech to be ready,” Washington, Ford’s vice president of research and advanced engineering, told Inverse. From lagging laws to the fact that only 40 percent of Americans say they would purchase an autonomous vehicle, he has a point. Conversations surrounding the race for the first consumer-ready, self-driving car largely revolve around a few companies, none of which are Ford. Google’s self-driving car project, Tesla’s Autopilot feature, and even ride-sharing companies Uber and Lyft dominate the dialogue. In January, Ford’s longtime rival, General Motors, invested $500 million in Lyft, the Number 2 app in the market behind Uber. That “playbook” is code for Ford’s subsidiary Ford Smart Mobility, a segment of Ford announced in January 2015 that focuses on everything from vehicle connectivity to self-driving cars. “Mobility” is essentially Ford’s catch-all term for any possible way a person can get around. Ford currently has 10 autonomous cars driving with safety drivers in Michigan, California, and Arizona. By the end of 2016, that number will be 30. The company is looking at this research from a broader mobility standpoint, as in using autonomous cars as a means to an end. So while other companies make headlines and put faces in front of congress, Ford says it’s focusing on expanding its business from automobile company to mobility company. Washington pulled his Android phone out and opened up a beta version of the Ford Pass app, which will be officially released in April. The Pass puts every mobility service Ford offers in one application, and, according to Washington, it will create a sense of community. When it comes to cars, brand loyalty can be a make-or-break reality. As far as who would be running that hypothetical fleet environment, Washington wasn’t up for sharing whether it would be Ford or an agreement like the GM-Lyft partnership. Getting your license isn’t a given anymore — less than a quarter of 16 year-olds had a driver’s license in 2014. And who cares who makes the car that you aren’t driving? People don’t hop in a cab or summon an Uber because they appreciate the driver’s brand choice. Actually owning an autonomous car would hypothetically be dependent on where you live, your income, and how many people are in your family. Which is why Washington doesn’t see the plain ol’ steering wheel bound car falling to the wayside anytime soon. He points to the numbers: Automobile sales are a $2.3 trillion market. The mobility market (minus air travel) is a $5.4 trillion market. Ford rakes in around six percent of the automobile market, and close to zero of the mobility market. Jumping into mobility is good business. Ford's GT does not drive itself. There are a lot of things that need to be done for Ford’s autonomous vehicles to make the move into the wider mobility market. Legislative changes and more safety testing are a few of those things, not to mention convincing Americans that they should actually want to buy a self-driving car. So, even though the technology will be ready in the next four years, don’t expect to start seeing driverless Fords on your neighborhood streets in the near future.